Tobacco Oud by Tom Ford is a Woody Spicy fragrance for women and men. 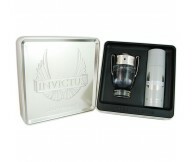 The fragrance features agar..
Lalique Pour Homme by Lalique is a Woody Aromatic fragrance for men. The nose behind this fragran.. Composition of the new fragrance ENCRE NOIRE A L'EXTREME is announced as very masculine, intensiv..
A milky, hydrating fluid to make skin soft and supple after cleansing. An easy way to wear the wo..
Set contains: Paco Rabanne Invictus EDT Eau De Toilette for Men 100ml + Paco Rabanne Invictus Deo..
Hugo Boss Boss Bottled Unlimited is a male perfume. The scent is fresh, sweet, juicy, refreshing .. 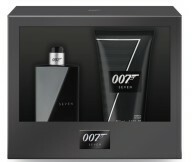 The fragrance, still luxurious and masculine, is less sweet than the original. Fresh apple and be..
Ferre Black by Gianfranco Ferre is a Woody Spicy fragrance for men. Top notes are grapefruit, lav..
Fendi Fan di Fendi Assoluto is announced as very intense, ferocious, impulsive, sophisticated, el.. 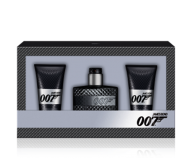 Composition of the fragrance Ermenegildo Zegna UOMO consists of citruses and bergamot from Zegna'..
Set Contains: Eon Productions James Bond 007 Seven EDT Eau De Toilette for Men 50+ Eon Production..
Set Contains: James Bond 007 James Bond 007 EDT Eau De Toilette for Men 50+ James Bond 007 James ..
Dolce & Gabbana Intenso is an aromatic woody fragrance that exudes elegance representing a co..